Knik Construction's Pete Kaiser won his fourth consecutive Kuskokwim 300 title Jan. 21 in Bethel, AK. Joar Leifseth Ulsom arrived in second place with Jeff King following in third. With the victory, Pete did what no other musher has done in 39 years. While Jeff King has won three straight races on two occasions, Pete's four straight Kuskokwim victories earn him a spot in the history books. He also eclipses Mitch Seavey on the career victories list, trailing only Jeff King. This year's race took a new route. Teams faced rough ice over winding tundra trails, frozen creeks and wide open lakes. According to Pete, it was a struggle to get traction on the 140-mile route. "When it's icy, the dogs have to focus so much more on each step," he says. "It's mentally taxing and entirely different from a snow-covered trail where they can zone out and move along at an easy clip. Overall it was a challenging race for them and for me." 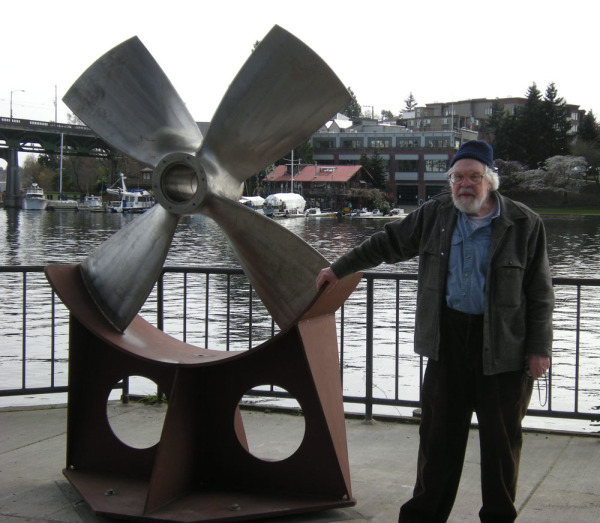 Pete and his team are sponsored by Knik Construction and Bering Marine Corporation each year. For the first time in six years, Pete trained in Bethel. 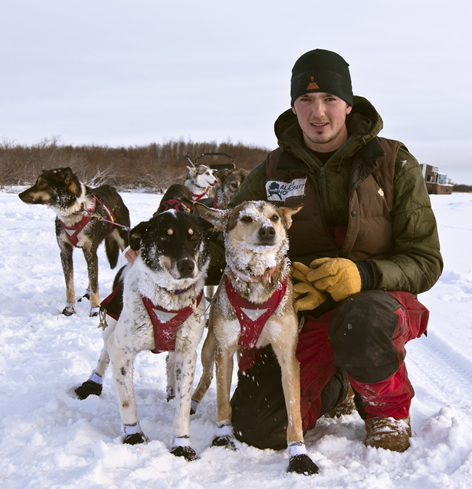 The region finally received enough snow to support the demanding regimen Pete and his dogs go through each year to prepare for the Kuskokwim race and the annual Iditarod. It's also where Pete lives and works. "We live out here and train out here, so we're a little more comfortable than most with the Kusko, but it was still one of the toughest, if not the toughest, races I've ever done," he says. Pete is now focused on preparing for the Iditarod which begins March 3 in Anchorage. Lynden’s Peter Kaiser made it a "3-Pete" win in the 2017 Kusko 300 in February and placed in the top 10 in this year’s Iditarod in March. Pete, who has worked for Bering Marine Corporation and now Knik Construction in Bethel, AK for 10 years, won the Kusko 300 for the third consecutive year, beating his 2016 time by almost 30 minutes. 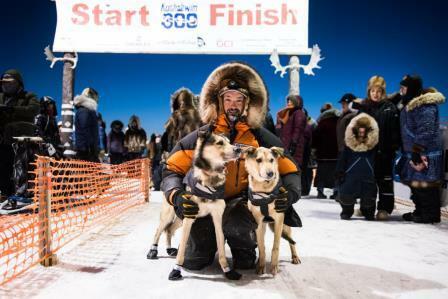 Pete and his 9 dogs crossed the 300 finish line with a time of 40 hours, 7 minutes and 54 seconds. 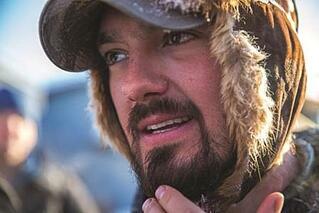 In his eighth outing as an Iditarod competitor, Pete placed ninth in the fastest-ever Iditarod. First-place finisher Mitch Seavey crushed the Iditarod speed record, finishing in 8 days, 3 hours and 40 minutes. The previous record, set last year by Seavey’s 30-year-old son, Dallas, was 8 days, 11 hours and 20 minutes. This year, mushers traveled an unusual route that started in Fairbanks, rather than Willow, due to low snow on key stretches of the trail. The 2017 Iditarod is officially 979 miles, although that includes 11 mile sat the ceremonial start from Downtown Anchorage to Campbell Airstrip. Bering Marine Corporation and Knik Construction support Pete and Kaiser Kennels each year. "Pete is not only a great employee for our companies, but his passion and dedication in his work shows in his mushing as well. We are proud of his accomplishments and look forward to more races next year," says Dan Hall, Knik Construction Vice President. "I am grateful for Lynden’s ongoing support," Pete says. "Our success is dependent on our sponsors and the flexibility of my employer. This year you had to have a flawless race to keep up with the fast teams. I had a few sick dogs with injuries along the way but, as always, I’m just happy to be competing." Executive management from Naknek Barge Lines, Bering Marine Corporation and Alaska Marine Lines met in Seattle earlier this year for the first training session to launch the joint Marine Safety Management System (SMS). They were joined by Jim Maltby, Lynden Director of HSSE, and Rheagan Sparks, Lynden’s Marine Risk Manager. Their objective: to educate participants about the internal audit processes within the SMS and to prepare them to conduct field audits aboard Lynden vessels during the 2016 operating season. The first day of the training, led by Lynden Consultant Dione Lee of QSE Solutions, consisted of classroom learning and goal identification. Participants took their newfound skills into the field on day two by conducting mock vessel audits aboard the Naknek tugboats Crosspoint and Polar Wind (see photo). The group took turns in the roles of auditor and crew. Implementation of a formal Safety Management System is a growing trend in the maritime industry, according to Rheagan. “Since the acquisition of Northland Services in 2013, the three primary Lynden maritime companies have been working to consolidate their pre-existing procedures into a more coordinated format,” she says. “The SMS allows the companies to standardize and document their procedures. 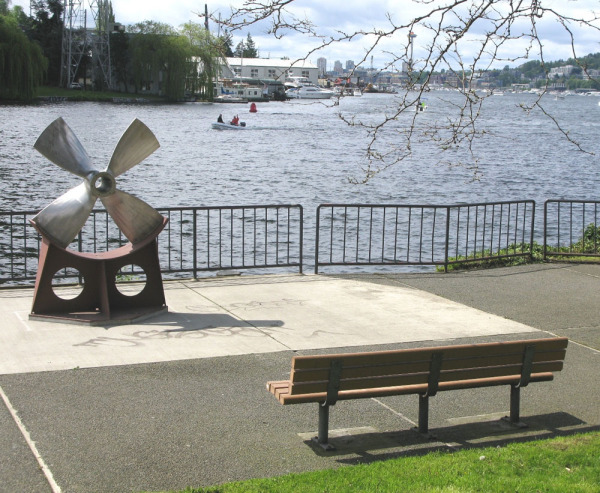 This is part of a continually evolving process of improvement that reduces the likelihood of accidents and promotes a culture of safety.” The new SMS system is endorsed by Lynden’s maritime liability insurer, Steamship Mutual P&I Club, positioning Lynden as an elite operator within the maritime industry. 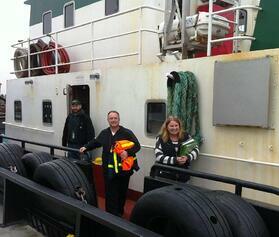 Captains from Naknek, Bering Marine and Western Towboat Company gave positive feedback about the January training. “The SMS manual mostly reflects what we already do, but now it’s documented and accessible for everyone,” says Tim Kinkopf, Naknek General Manager. Future training sessions for vessel crews are scheduled later this year. Here's something you don't see every day! Lynden’s hovercraft almost looks like it’s moving along with the migrating caribou in this photo. According to Bering Marine Vice President and Captain Jack Rasmussen, the shot was taken this past winter at the hovercraft storage area near Oliktok Point, AK, about 40 miles west of Deadhorse. Lynden is proud to sponsor mushers in the 2013 Iditarod! The 2013 Iditarod - the “Last Great Race on Earth” - officially starts today, March 2nd. Lynden is proud to be a sponsor of two of this year's racers, Pete Kaiser and Mike Williams. Pete is an employee of Bering Marine Corporation, part of the Lynden family of companies, and will be racing for the 4th time. He finished in the Top 10 in both 2012 and 2011. Mike is also sponsored by Lynden, mushing in the Iditarod for the 15th time. He was born and raised in Alaska, and has a son (Mike Williams, Jr.) who will also be competing in this year's race. The Iditarod race, the ultimate test against nature, winds over 1,150 miles of difficult terrain throughout rough weather conditions. Mushers will start in Anchorage and ultimately finish in Nome, Alaska. The race typically takes 9-15 days for mushers to finish. Lynden employees are familiar faces at Alaska sled dog races, volunteering for things such as race announcing, caring for dog teams, and lending other support. You can learn more about the Iditarod and follow along with this year's race by visiting the official website: www.iditarod.com. Earlier this year, Alaska West Express, Lynden Transport and Bering Marine Corporation teamed up to move a valuable rocket motor from Elkta, MD to Kodiak, AK for government contractor ATK. It was the first commercial move of its type to the launch facility and was completed in just five days compared to the usual three-week turnaround. 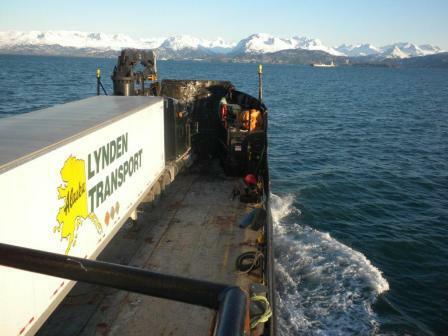 “Instead of shipping to Seattle and barging as this unit had moved previously, we proposed to truck the unit to Homer, AK inside a Lynden Transport heated van and use the Arctic Seal Bering Marine landing craft to haul the truck and trailer to Kodiak for transport to the launch facility,” explains Jim Earl, Terminal Manager for Alaska West Express in Tacoma. Due to the explosive material in the motor, Alaska West Express was required to maintain a controlled temperature and shock recorder environment on the journey north. Satellite tracking and dual drivers were also used because of the sensitivity of the unit. The innovative delivery plan allowed the truck to stay hooked to the trailer as it was carried across on the Arctic Seal saving the customer almost two weeks of transit time. 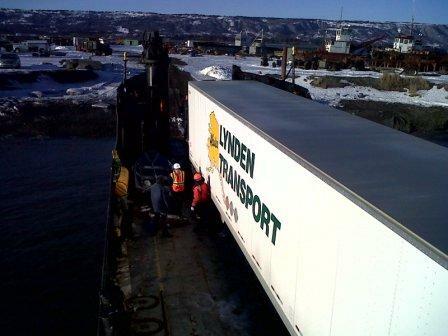 Alaska West Express Drivers Dan and Michelle Henry carefully moved the unit up the highway, and Bering Marine Captain Jack Rasmussen and the Arctic Seal crew sailed across the gulf to Kodiak. The rocket motor was rated explosive hazard class so multiple permits were required by both the U.S. and Canada. “Jim Maltby and Alan Hoza jumped through some major hoops to secure permits on short notice, and Scott Hicks did a great job with highway-marine coordination and communicating with the customer,” Jim says. “It was nice to see Lynden teamwork in action, and it appears that we have secured a repeat customer."